The perfect match between elegance and fashion even in the less formal situations: the suit separates, one of the most fashion menswear. 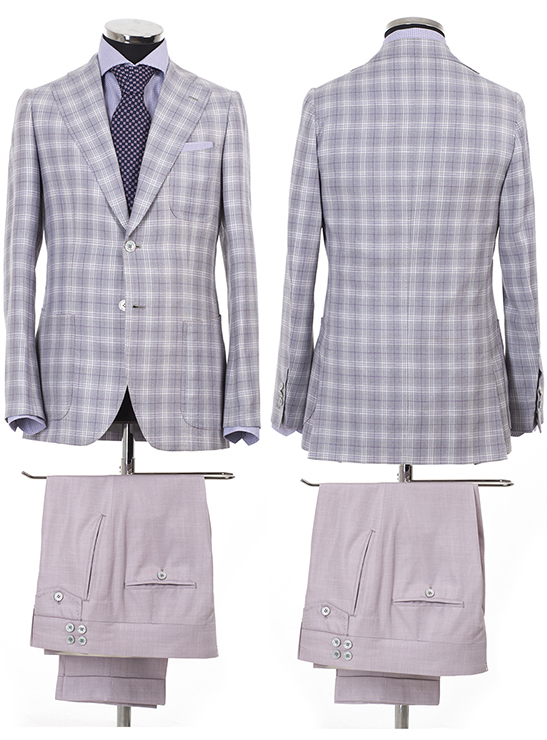 For this suit we selected a lightweight and crisp fabric: 100% linen-blend. The two button jacket has small side vents, pockets and square patch pockets. The pants have front pockets and lends a flattering fit thanks to the belt without loops. The 5 button waistcoat is a double breasted with lapels, small side vents and adjustable buckle on the back. The suit features also a 100% cotton custom-made shirt and the pocket square “clouds” by poschette. The result is a very comfortable suit, skillfully adapted to the client’s measurements. Definitely a two piece suit for every occasion, but different from usual.